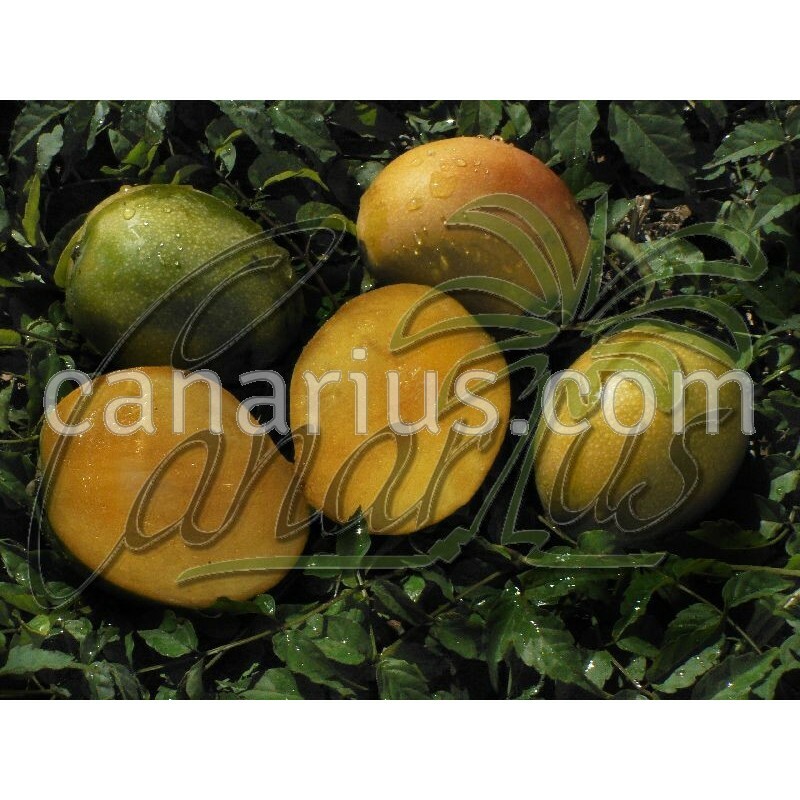 Tall 16x30 cm pot - Gomera is a traditional Canarian strain of vigorous mango trees, producing rounded yellow fruits of small-medium size, with excellent flavour. This mango is hardier than most mango cultivars to drought and cold. Gomera 1 is a traditional Canarian strain of vigorous mango trees, producing yellow fruits of small-medium size, with fibres presence and very strong aroma. 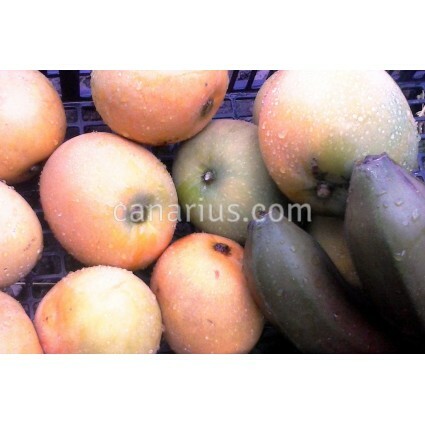 The ripe fruit is round, yellow, with a remarkable resinous scent and very sweet perfume. Taste is intense. It surely is one of the best flavours in Mangifera mango. The average weight is 260 g, with fibre presence. The crop season in the Canary Islands is August to December, with occasional out-of-season crops of smaller fruits in April. Seedlings of mango Gomera are commony used as a rootstock for grafting throughout the islands, because of their ease of growth and hardiness to drought or cold. "Gomera 1" is a polyembrionic mango. 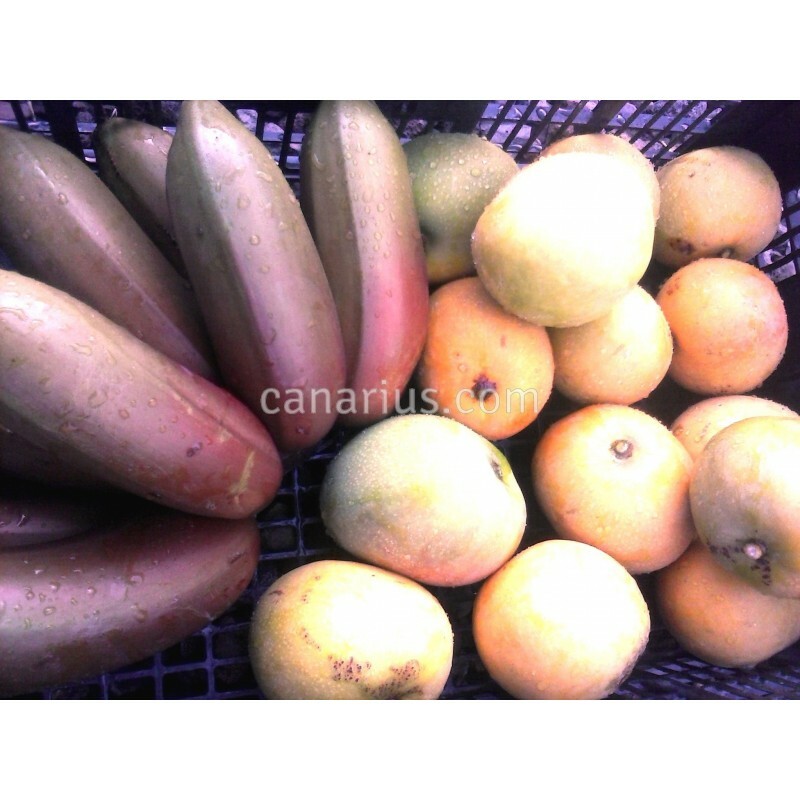 Read more about THE COLD-HARDY CANARIAN MANGO GOMERA-1. Here in Canarius we offer a potted plant. This is the larger size available for Mango Gomera 1 and plants are 40-80 cm tall, usually in a 16 x 30 cm tall pot.